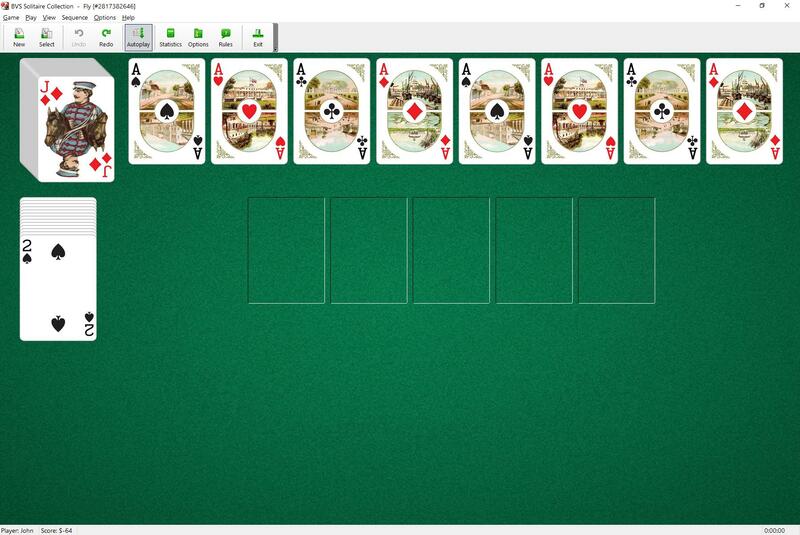 Fly Solitaire uses two decks (104 cards). You have 5 tableau piles and 8 foundations. You also have a reserve pile with 13 cards in it. The top card is face up. Aces are dealt to foundation piles at the start of the game. The top cards of tableaus, reserve and stock piles are available to play. You can move cards on foundations in ascending order regardless of suit. When you have made all the moves initially available, start putting unplayable cards on any of the five tableau piles. There are no restrictions on placing cards from the stock pile to the tableau piles. You cannot move cards between the reserve pile and tableau piles and from one tableau pile to another one. The skill in this game is to decide which tableau pile to put each card in. 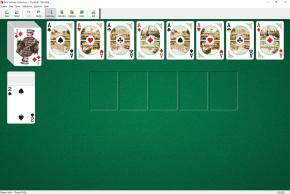 You shouldn't block the lower cards by higher ones, unless it is absolutely necessary.